Proved reserves of lead and zinc ore at the mine Brskovo in Mojkovac amount to 27 million tons, three times bigger than previously thought, according to representatives of the Australian company Balamara Resources Limited (BRL). Milijanka Maras from BRL said that the company with headquartered in Perth was determined to open a new lead and zinc mine in Mojkovac. “We will go to the licensing procedure”, said Maras. She added that nine million tons of ore were offered by the concession study, namely, on the tender. “We have proven ore reserves of at least 27 million tons, three times larger than previously thought, and that is something that should not be missed”, said Maras. At locations Brskovo and Visnjice was found over 14 million tons of lead-zinc ore, and 13 million at Razvrsje. “We had not even finished research ore deposits. We should do additional research in the area of ​​Igriste, whose potential, according to initial estimates, is around five million tons of ore. In addition, also silver reserves were found, but the feasibility of its removal will be assessed after metallurgical testing. So, there are several million reasons to open mine”, Maras said. The company discovered significantly larger ore deposits by exploratory drillings for ore sampling and numerous analyzes. The company now has to obtain the mentioned license to open ore deposits, and that, according to Maras, is neither small nor easy. We begin already in February with the preparation of the previous feasibility study, with the technical and economic evaluation of calculated reserves. 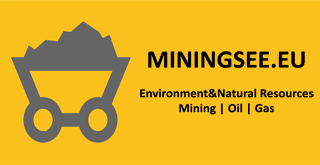 In addition, the study of the exploitation impact on the environment and project of hydrological and hydrogeological studies in this area will be done; in order to define the facilities position in future mine. We also expect technical and technological testing of possible ore concentration, as well as the feasibility study of the main mining exploitation project”, Maras said. She added that over three million EUR have been invested so far in this project. In the company BRL estimate that defined and potential ore reserves are sufficient that mine operates in the next three decades. The Australian company, at the project of new Brskovo, works across Daughter Company North mining.